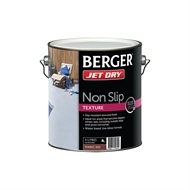 Berger Jet Dry Non Slip Texture is a water based paint that creates a slip resistant textured finish. It is ideal for areas that become slippery when wet, including outside steps, and pool surrounds. 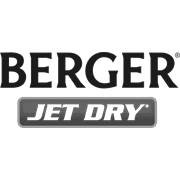 Berger Jet Dry Non Slip Texture achieves a P4 slip rating when applied as directed, as tested to AS 4586:2013.